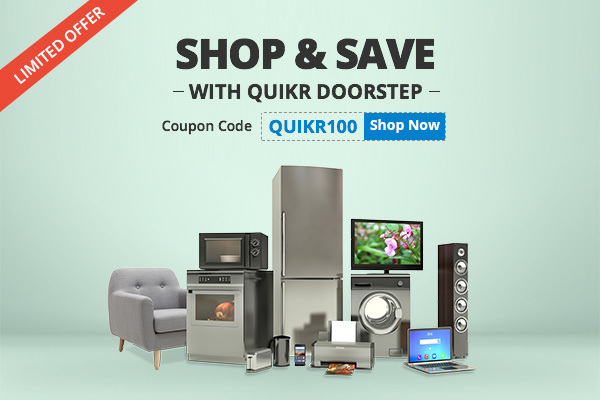 Applicable for transactions made only on Quikr Doorstep. Categories – Mobile & Tablets, Electronics & Appliances, Furniture & Decor and Home & Lifestyle. Offer valid till June 7th, 2017. Offer valid for first 10000 transactions only. Cashback will be credited to your Paytm account on successful delivery of the item. Coupon code to be applied at the payment page. Offer valid for both direct Buy Now and Make an Offer flows.